Professional House Cleaning Tips: What dishwasher detergent to choose? What dishwasher detergent to choose? Are you looking for a dishwasher detergent that makes kitchenware sparkle of cleanliness? What factor do you consider the most - price or quality? Are you a bit confused of the variety of products offered on the market? 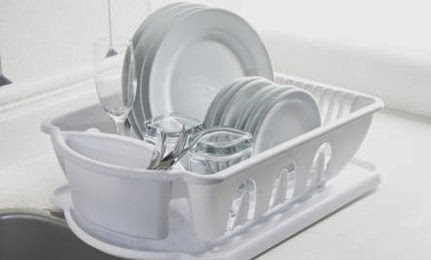 Then you need a brief review of the most popular types of dishwasher detergent so you can choose the best and the most cost-effective cleaning solution for you. It is considered to be the most popular type of dishwasher detergents that most people and your local professional cleaning company prefer. Maybe because they are usually less expensive than similar products on the market or maybe because powdered detergents are quite appropriate for so-called “hard water problems”. The biggest disadvantage of powder-form products is the possibility of undissolved detergent caking up in the dishwasher. This might cause damage to your dishwashing machine if you often use too much quantity of the product. Many people substitute the traditional dishwashing powder with tablets, mostly because they provide control over the quantity of detergent used. You use a precise amount of detergent for every washing cycle which also protects your dishwasher from build-ups, causing damage. In this regard tablets seemed to be more cost-effective, even at first sight they are more expensive than powder detergents. Gel dishwasher detergents become really popular lately. Home cleaners point easiness to dispense in water and less chance of spilling as main advantages of this kind of detergent. It is considered that gel and powder detergents have almost equal effectiveness in cleaning but they definitely differ in price – gel detergents are usually more expensive than powder-form.